WINDHAN: Revolution in the Field of Renewable Energy !! Our world is getting old. Especially the energy sources that we think are inexhaustible came to the point of depletion due to unconscious and excessive use. In addition, we made our world an uninhabitable place with phosphorus fuels, and we destroyed new energy sources. Especially in parallel with technological developments, interest in alternative and renewable and cleaner energy sources has increased in recent years. These renewable green energy sources have no negative impacts on the environment, and they are more beneficial than fossil fuels polluting our environment and causing climate change. Access to fossil fuels often requires heavy mining or drilling in ecologically sensitive areas and is costly. Green energy or renewable energy sources, on the other hand, are natural and clean energy sources that can be easily produced anywhere in the world, including rural and remote areas where all kinds of transportation are restricted. In the renewable energy group, solar panels, wind turbines and other green energy sources reduce the costs of energy use and provide economy. Besides, it keeps our environment clean because there are almost no waste emissions. It also eliminates the need for compulsory electricity generation and the need for costly energy sources such as oil, gas and coal. The most consumed fossil fuel types in the world are Petroleum (33%), Coal (30%) and natural gas (23%). Green energy sources generally use renewable sources such as wind, water, and sun. Most commonly used are solar energy and wind energy. Wind Energy is the energy obtained from the sources fed by the wind. People have seen the power of the wind from the past but have not been able to get enough energy from the wind that has this great energy potential. Windmills have been established in many places and benefit from windmills to pump water and to grind grain. Old-style windmills slow down the speed of the wind, begin to turn with it and gain energy. In modern windmills, the wind flows over the metal wings, allowing the wings to rotate. As a result, wind farms with current technology produce very efficient energy and their costs decrease. The wind turbine produces reliable, economical, pollution-free energy. Sun and wind are very valuable because they are the sources of continuous energy. In addition, Wind, which is an affordable, clean and renewable energy source, is the most important choice for every period. Electricity produced from wind does not contribute to global warming and acid rain. It does not pollute our environment and our world because of waste gases or residues. According to nuclear energy sources to the extent of health to the risk of radiation does not contain. Once all of these benefits are combined, it is once again clear that wind energy is very valuable. 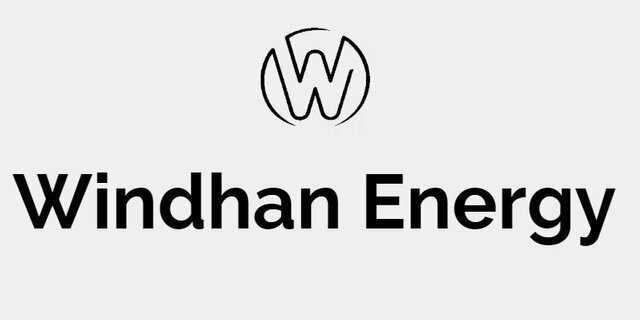 Windhan energy platform is a blockchain based, renewable green energy platform powered by Ethereum technology. It is a fund and transaction platform that supports economic and environmental energies (especially wind energy) for a better future. It brings together energy producers and consumers to sell and buy renewable energy directly to consumers without paying too much to companies, suppliers and other intermediaries. It is an advanced platform that brings energy producers, investors and consumers together on a global and decentralized network that provides financing of energy resources. The average wind speed required for the installation of wind turbines should be above 5 m / s (18 km / h). The most ideal places for wind turbines, out of town, mountain slopes, farms and beaches are places that are out of basic settlements, open to the wind and not crowded. The more buildings around the wind turbine, the less wind there is. Setting up a wind turbine is a very time-consuming and costly business. However, where the wind speed is quite high, these costs and spent labour remain very small in addition to the wind energy generated. For this purpose, Windhan aims to bring green energy and humanity together by creating a 108 MW wind power plant project in Kazakhstan. The Windhan platform, which aims to reduce the costs by eliminating unnecessary intermediaries as well as offering the energy to consumers at more economical prices by connecting the producer and the consumer directly on a blockchain based platform, wants to show the world that it is a very big project for this purpose. The ICO price of the platform, which will be given special awards and campaigns to the owners of WHN Token, is set at € 1 and this figure is expected to increase more at the end of the year. The WHN token aims to interact with intelligent contracts within a decentralized blockchain network. According to the Blockchain philosophy, token changes can occur in an environmentally friendly, secure network. In addition, the Windhan platform and energy producers and consumers will come together to form a market. WHN and other coins will be able to change and spend on this platform. Also, WHN token has other surprise features. 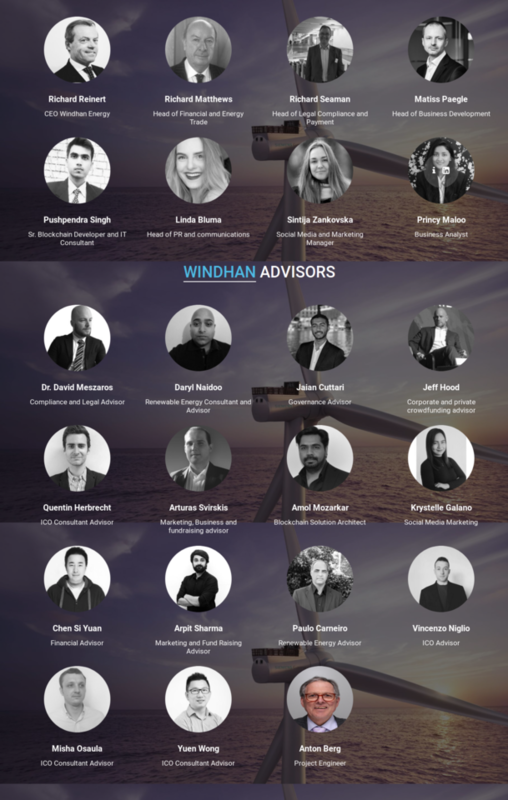 Visit https://windhanenergy.io/ to get acquainted with Windhan Energy and to take advantage of the ICO. Please click on the addresses below to view the official social media accounts and get detailed information about the system.